Have you marked your calendar for the MEAT-UP? 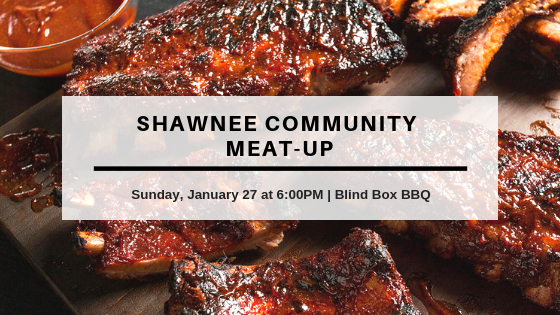 Invite a friend and join us on Sunday, January 27 at 6:00 pm at Blind Box BBQ in Shawnee. Whether you’re an omnivore or carnivore there will be something tasty for you.